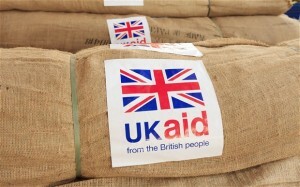 A very new and very different UK aid policy was published on November 23. UK aid has escaped the threat of austerity that has hung over most public spending in the UK – the deep cuts of 20% or 30% or 40% in budgets over the next five years. It is ‘ring-fenced’ and the Conservative government (and David Cameron and George Osborne) had stated publicly on many occasions that aid would remain at 0.7% of UK gross national income (GNI). As a result, the negotiations between DFID and the Treasury were not about cuts. Instead, they were about the entire thrust of aid policy: its goals, areas of operation and ‘who’ spends the aid budget. The outcomes have great significance – I urge all Development Studies Association members to download UK aid: tackling global challenges in the national interest and read it. The starting point is that UK aid must tackle global problems – and through this support the efforts of poor people in fragile and poor countries – while, at the same time, pursuing UK national interest. An aid budget of 0.7% of GNI alongside a defence budget of 2.0% of GNI means that for George Osborne and Justine Greening “our country walking taller in the world”. The UK may be a waning imperial power in the global order but it clearly wants to punch above its weight in international decision-making. 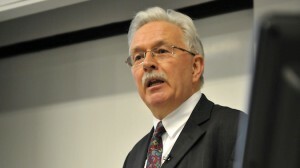 Public health (e.g. the Ebola crisis), mass migration, terrorism and climate change are cited as examples of where the UK aid budget can help poor people and achieve the UK’s national interests. The exact results of this restructuring will be seen as aid policy is implemented in coming years. But, one cannot help notice that the goal of extreme poverty reduction no longer heads UK aid policy. Security, crisis response and prosperity – for developing countries and the UK – now rank above helping the poorest. In 2010 many Development Studies scholars warned of ‘the securitisation’ of UK aid – that the growing aid budget would increasingly overlay defence expenditures and that it would be unclear as to whether aid was pursuing poverty reduction or security/military goals. While some evidence to that effect emerged it was more constrained than many expected. The changes in 2015 now make this securitisation highly likely. There will be increased aid spending for the Syrian crisis and MENA region – so more aid will be spent in Syria, neighbouring countries and on Syrian refugees. For refugees this already covers spending that is 100% in the UK. As I understand it, for the first year in the UK the costs of Syrian, and other, refugees are met by the aid budget. Other changes in aid policy will support this overlay of actions to help the poor and to achieve security goals. The Conflict, Stability and Security Fund (CSSF), to support the international work of the UK National Security Council (NSC) to achieve security goals, will be expanded and a ‘Prosperity Fund’, led by the NSC, will promote global prosperity. For Development Studies academics looking at UK aid it seems certain that the letters “N” and “S” and “C” on their laptops are going to be more heavily used than in the past. Reading between the lines, it looks as though DFID will continue to control roughly the budget it had in 2014/15 but that future increases in the aid budget will be controlled by agencies other than DFID. Increasingly, understanding what UK aid is doing will mean looking at the activities of several different departments and public agencies: DFID will only be part of the picture. A cynic would also have to comment that the management consultancy and advisory services companies that have been doing so well from the DFID budget will now be able to expand into the spending of other UK departments. There are other changes, some of which I see as potentially regressive and others that are more promising. On the regressive front “all” budgetary support is to be stopped to permit better targeting of aid. So, even in countries that are improving their governance and achieving poverty reduction goals, the low-trust model of designing aid projects and programmes – which we know often impacts negatively on domestic policy formulation in recipient nations – will rule. On the positive side, the BBC World Service receives more funding and the ‘Ross Fund’ will increase expenditure on tropical diseases and especially those that damage the health of poorer people. There are many other changes – value for money will be pursued even more fiercely (hopefully someone in Treasury is looking at whether the costs of pursuing VFM in the aid budget are greater than the savings it produces) and 50% of the total aid budget will be targetted on fragile states and regions. At the more micro-level of funding for the types of research commonly pursued by DSA members it will not be clear what is happening until more detailed plans are available. A ‘Global Challenges Research Fund’ of £1.5 billion is promised. This sounds good, but if the Fund is largely channelled into medical research, it could mean that research on social change, governance and other ‘soft’ areas is diluted. Do download the UK aid policy document and read it.